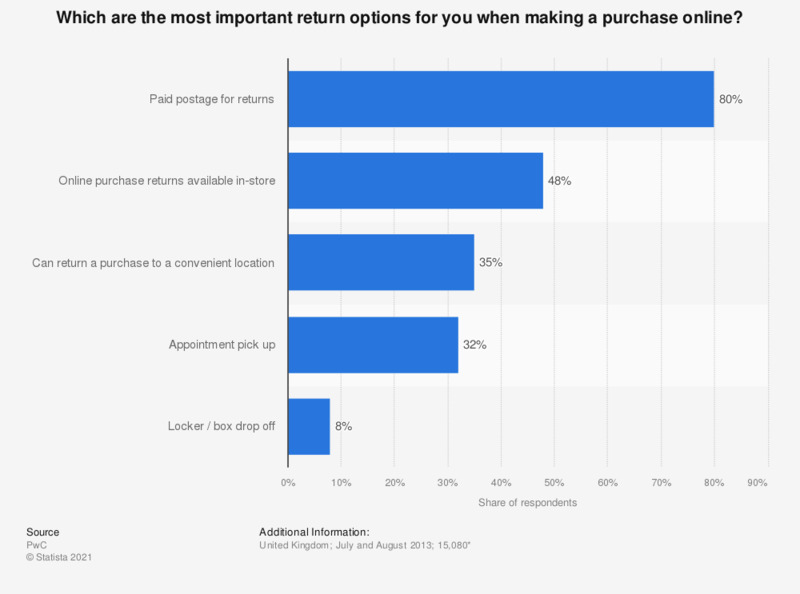 Which are the most important return options for you when making a purchase online? This statistic presents the most important return options to online shoppers in the United Kingdom in 2013. The majority of respondents, 80 percent, stated that paid postage for returns was a vital return option for online purchases. * n (global) = 15,080; UK base not specified. Age of respondents not specified.